Although cute in nature, raccoons are notorious for causing major damage to homes, not to mention that rabid animals pose serious a risk to humans. For these reasons, you should never try to deal with a raccoon problem on your own. Instead, you want to hire a professional service for raccoon removal in Toronto. A reputable raccoon pest control company has the necessary experience to deal with this type of problem in an effective and safe manner. Professional raccoon removal in Toronto is the best way to eliminate your problem. For this, experts use varying methods of capture. Many homeowners worry about the methods used for capturing raccoons. The problem is that some services for animal control and raccoon removal involve harmful chemicals. However, there are also reputable companies that take a completely different approach by using only nontoxic, environmentally safe, and sustainable methods. As a result, the entire family and pets are safe during the process of removing an annoying animal. You might have concerns that raccoon pest control is too expensive. In reality, the cost of raccoon removal by Pestico Canada Inc. is very affordable, and the services are guaranteed. Based on the way our experts work, the exterior of the home is modified without compromising the construction or aesthetics. With these services, a preventative barrier is installed to keep the raccoons from returning. 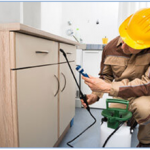 As part of the services that Pestico provides, a team of skilled professionals will first perform an inspection of your home. 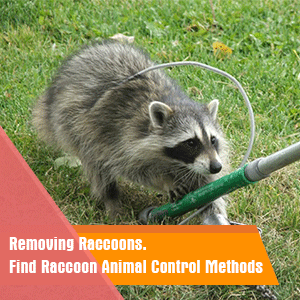 Based on what we find, we will provide you with a detailed solution for raccoon pest control. With years of experience and unrivaled expertise in this field of work, you can relax knowing that the problem is solved. Providing you with even more peace of mind is the fact that Pestico provides a full six-month guarantee on the services rendered. Like many places in North America, raccoons are a common problem in Toronto. These animals are highly resilient and determined. Because of that, they have an uncanny ability to get into tight spaces to live and breed. With professional raccoon removal in Toronto, your problem is solved. In addition to scheduled service, Pestico Canada Inc. offers preventative and 24-hour emergency services. We would love the opportunity to help with raccoon removal at your Toronto home to give you, your family, and pets a safe environment to live.